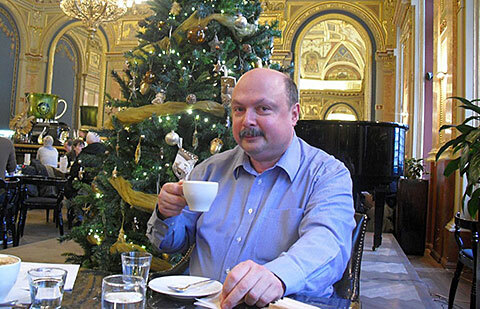 1/30/2013 – What started as a festive meal with a friend in Budapest, GM Gabor Kallai, turned into a heartfelt story about chess, arts and talent. Here is a tale of 30 years involved first-hand in the workings of chess in Hungary as a chess competitor, trainer, coach, captain, arbiter, organiser, writer, media reporter, Radio and TV commentator. A fascinating tale with many great stories. 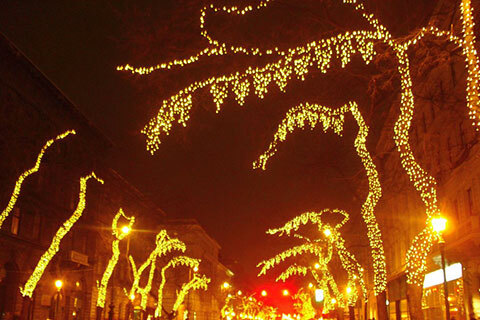 thousands of little lights create fabulous, mysterious figures. A festive meal with a friend in Budapest, GM Gabor Kallai, turned into a heartfelt story about chess, arts and talent. 30 years involved first-hand in the workings of chess in Hungary in many-faceted duties – as a chess competitor, trainer, coach, captain, arbiter, organiser, writer, media reporter, Radio and TV commentator, PR and technical director within the Chess Federation…summed in one word - a ‘chess specialist’, Gabor has a lot to say. His talk is an honest, personal observation filled with both enthusiasm and criticism. During our conversation we are interrupted by his mobile phone a couple of times; he apologizes that he has to attend to these chess related inquiries, saying: ‘I am like a chess railway station. this 19th century building, today the biggest bookshop in Budapest. This 10th anniversary of the 2002 Olympiad in Bled opened up a treasure trove of memories, and it has a particular significance for Gabor. As a captain, he led the Hungarian team to clinch silver, in a close fight with the Russians, who, fronted by Kasparov, took gold. The Hungarian team composed of Peter Leko, Judit Polgar, Zoltan Almasi, Zoltan Gyimesi, Robert Ruck and Peter Acs, actually bit the Russians, though very little separated them from quite a different final outcome. Ah, but it was not to be. The Russians continued their winning streak and got gold. Kallai does not hide his pride that he had specifically assigned Ruck to play with black against strong opponents, a well merited decision. Nonetheless, it was a tremendous result. It is the only Olympic medal won by the Hungarian men’s team in the past 32 years, since the silver in Malta, 1980, with Lajos Portisch. There, once again Hungarians were up against their nemesis - the USSR, with whom they shared first place but, after a tie, USSR came first and Hungary second. The silver for the nation was highly appreciated by the government who bestowed a ‘knighthood’ to Kállai and to all members of the team. This event of great historical importance for the Hungarian chess, Kallai recorded meticulously in his book ‘Silver Shines Again’. Congratulations poured from all corners, including the Hungarian Nobel prizewinner for literature, Imre Kertész, who sent to the captain a personal congratulatory note. a playwright, and Péter Esterházy, a novelist (photo: Gabor Kallai archive). However, while the Bled Olympiad is a cause for merriment, the present appears to be troubling Gabor. 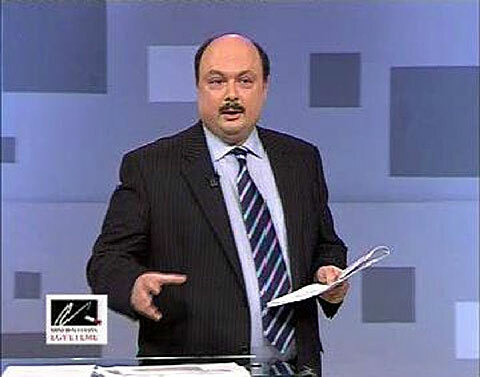 He is concerned about the current chess politics in the country but particularly about the precarious performance of the Hungarian team at the latest 2012 Olympiad in Istanbul. He has been quite vocal throughout the Hungarian media about the unprofessional approach towards the preparation of the team, which he considers quite inadequate for an event of national importance. At a public press conference before the start, Almasi, who used to be the ‘main rock’ of the team, had admitted that he had not participated in an official competition for seven months prior to the Olympiad. ‘Before such an important event as the Olympiad, the Federation has to control both dangers – either too much or too little play. If needed, especially created competitive matches should be organised’. Gabor’s critical pronouncements have been met with approval by some and consternation by others. However, he is convinced that the Hungarian team had much greater potential than its actual achievement. Leko, Almasi, Polgar, Berkes and Balogh are fine players of a high calibre that could deliver better results if provided with stricter training and management. ‘An Olympiad is not something that happens every day. The result cannot be guaranteed but at least all necessary preparations must be in place’. anniversary of the Bled Olympiad. 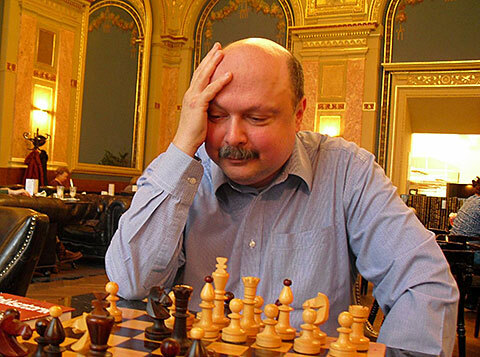 He points also to another worrying trend: worthy players of the Hungarian chess elite, both men and women and former Olympic players, are abandoning their chess profession, because they are disillusioned and see no creative environment or any sort of stimulation. 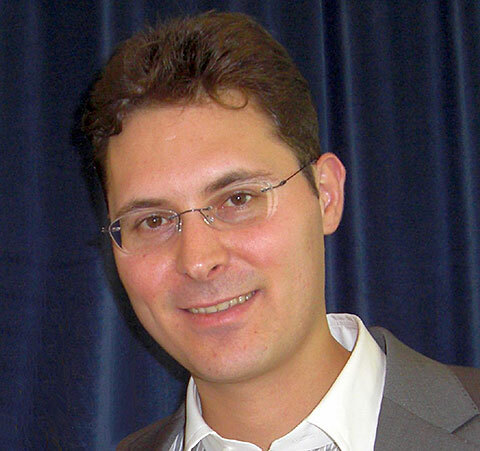 Among the latest ‘drop outs’, the most painful is that of GM Zoltan Gyimesi (2674), a 35 year old Olympic player, 75th in the world. Another example is IM/WGMs Szidonia Wajda and Ildiko Madl, both former women champions and Olympic players who choose not to be part of the selected team. This apathy becomes obvious at the sight of the dented start-list of the Hungarian championships. What is even more worrying is the Hungarian Federation’s indifference at seeing them go without any reaction. ‘Naturally, these players sometimes may be influenced by personal reasons for abandoning the selected team or their whole chess carrier. However, they have unique values for society. You cannot just lose them without a fight and without trying to find some incentives and challenge to make their chess profession more meaningful’. As the technical director, PR and marketing officer within the Chess Federation during the period 2001 -2005, Kallai established a lasting cooperation with the state, the result of which was a subsidy of 100,000 Euros per year for youth chess development. 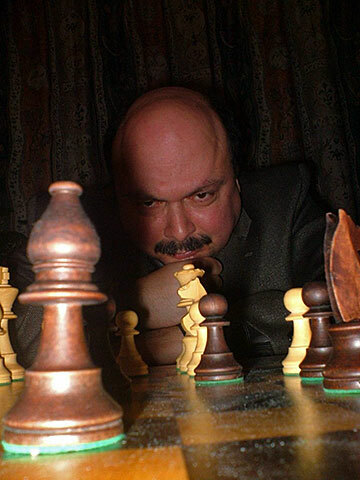 He also created a Club of Chess Friends that saw important personalities from the Hungarian public life become members. 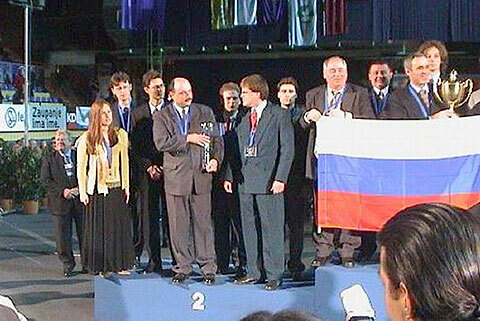 During this time, the women also got silver at the European Team Championship (2003). 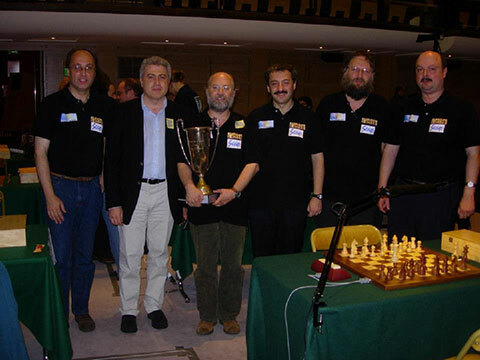 Under his directorship, the Federation organised the strongest tournament in Hungary ‘Talent and Courage’ with Kortchnoi, Gelfand and Short among others, and the home participants: Leko, Polgar, Almasi, Berkes and Acs. The tournament’s aim was to provide a high level competition podium for the home stars. Alas, it was won by Short. An interesting trivia is connected to this tournament: it was the first and the last time that Peter Leko and Judit Polgar played in Hungary against each other. No longer on the decision-making panel of the Hungarian Chess Federation, Gabor is concentrating his energy on promoting chess on other levels, mainly as a trainer but also through various media and other channels. 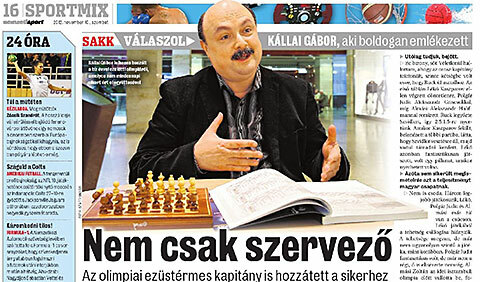 He is hosting a fortnightly TV-program called ‘Sakkk’ (Chess) in Sport TV, and writes a chess column in ‘Népszabadság’ (People’s Freedom), the most popular Hungarian daily broadsheet. His journalistic write-ups on chess have been collected in a book ‘Chess Stories’, which was published recently. On invitation by the ‘University of All Knowledge’ in the spring semester of 2007, Kallai gave a lecture on chess under the title ‘Where the chess board ends?’, thus giving chess an equal intellectual place among sciences, arts and other humanities subjects. The ‘University of All Knowledge’ is an alternative learning program organized by the Hungarian Academy of Sciences in order to popularize knowledge in various subjects through a series of lectures by academics given in live transmissions with several reruns on the state TV channel. Chess was one of few non-academic subjects; it was one of the most popular lectures, which attracted large audiences. Kallai was an initiator and now a trustee of a recently created Foundation for Hungarian Chess. Under its auspices and his directorship the tournament ‘Portisch 75’ was held last year at the Hilton in Budapest with four veterans, Portisch, Ljubojevic, Csom and Hort, to celebrate the 75th birthday of the legendary Hungarian player. Can you see the smothered mate? 1. e4 e5 2. Nf3 Nc6 3. Bc4 Nd4? 4. Nxe5? Qg5! 5. Nxf7 Qxg2 6.Rf1 Qxe4+ 7. Be2 Nf3 mate! His book ‘Basic Chess Openings’ (1997, Cadogan), followed by a later edition ‘More Basic Chess Openings’ has been a bestseller and is translated in several languages. It has been a useful tool in the hands of many a student needing to learn or brush up on opening preparation. 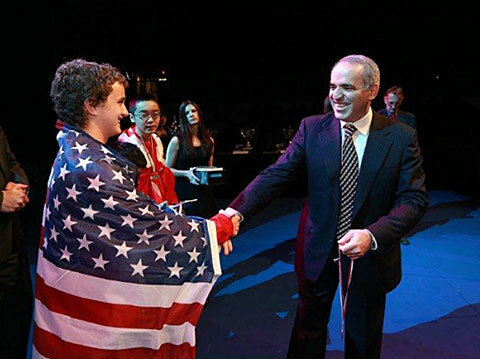 At his recent working visit of the USA he was pleasantly surprised to hear that Sam Sevian, World Under-12 Youth champion and a member of Kasparov’s program ‘Young Stars-team USA’, had used the book for a number of years in his formative training. 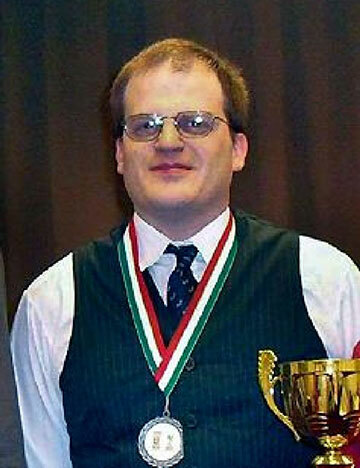 As a Senior FIDE Trainer he has had many a young talent under his supervision over a period spanning 30 years. Among his latest successful students is Kayden Troff, the World Under-14 Youth Champion. Kayden is an American Chess prodigy selected in the training program ‘Young Stars-team USA’, which is a branch of the Kasparov Chess Foundation. His main trainers are Garry Kasparov and Alex Chernin. Kallai joined the coaching staff of the young player and trained him intensively for the last two months prior to the World Youth Championship in Maribor, 2012 and was his second throughout the tournament. He is also helping another member of the ‘Young Stars-team USA’ program, the 12-year-old Jeffrey Xiong, second in the world in his age category. Kallai’s contact with American chess talents has been closer established through his participation in the training program of the International Chess Academy in New Jersey, USA. Founded and directed by the very capable Diana Tulman, the Academy provides a high-level chess training for international young talents. 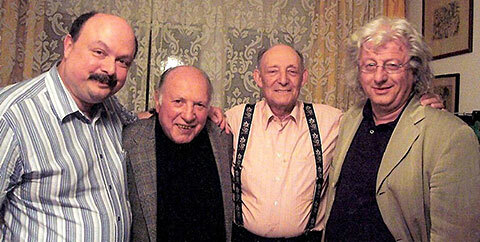 Yusupov and Dvoretsky have been among the Academy’s many famous trainers. Last summer at the Academy’s Grandmaster Camp, Kallai was a trainer along with GM Chernin and GM Stripunsky. In Budapest Kallai is teaching at both the American and the British International Schools. Still his most famous student will probably always be Susan Polgar. In an auspicious way, his work with Susan at the very beginning of her stardom, shaped his own rich chess career. 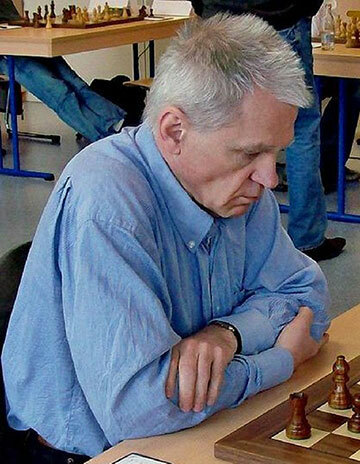 Gabor Kallai (born 1959) started his chess career in 1973 at the chess club MTK in Budapest. Among the members of the club were some famous Hungarian players including world champion candidates Lajos Portisch and Laszlo Szabo. About a month after his start at the club, the club members were one day surprised by an unexpected and unusual visit. A father and a small daughter, hand in hand modestly entered the club. The father asked if somebody would play a game with the little girl. At first, the request was met with giggles, but one of the players decided to have a game. The girl, too small to sit on the chair, was lifted up by her father who sat her on the table next to the chess board. By the middle of the game, the grown-ups took the girl more seriously. After a couple of games won by the girl, she was admitted to the club. Her name was Zsuzsa Polgar, four years old. 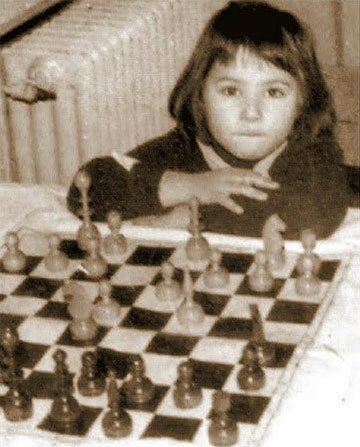 By the following year, at the age of five, she won the Budapest Championship for girls under eleven. It was too easy for the young prodigy – her score was 10 out of 10! The club decided to provide trainers for Zsuzsa. Gabor, himself a young lad at the beginning of a successful chess career, was one among them. His newly bestowed duty became quite demanding within short time and, in 1980, he abandoned his studies at the Engineering University in Budapest in order to train full-time his young female colleague. It was at a time when Hungary was still a heavily communist country. The president of the Chess Federation, Sandor Szerenyi, was an important personality in the communist life of the country. He had spent 14 years in the Gulag and, at the time of our story, he was a chess partner of Janos Kadar, the first secretary of the Hungarian communist party. The Polgar parents and their unorthodox upbringing of their daughters were closely observed by the authorities. 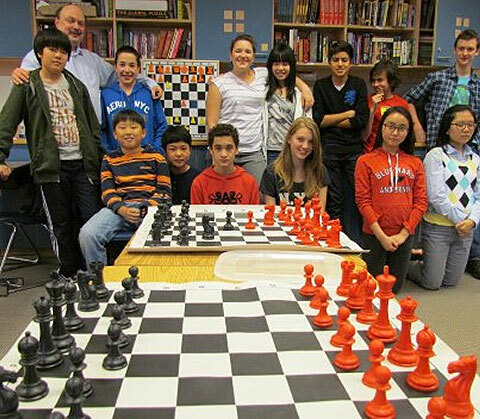 The chess federation’s president had convoked a meeting in order to address an important matter: the Polgar family. 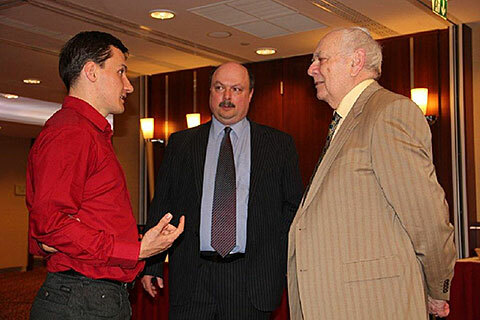 The Polgar father was also invited, but he already did not see eye to eye with the Federation’s president and sent Kallai as the family’s representative. At the meeting, the real agenda was presented: the Polgar father should be sent to a psychiatric hospital and the girls should be placed in the custody of the state. 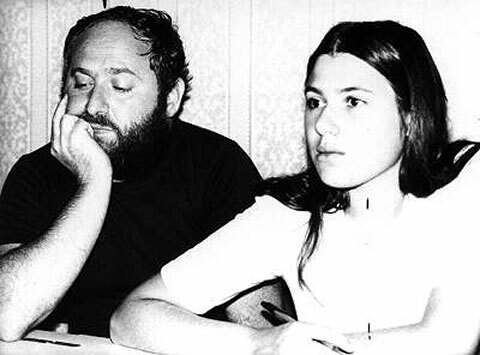 In the eyes of the establishment, the Polgar parents were incapable of bringing up their children properly, and the federation needed to step in to help such a promising chess player. Luckily, the discussion that ensued led by GM Istvan Bilek (1932-2010), captain of the selected team and supported by the young Kallai, mellowed Szerenyi and changed his mind. It was the epoch when a telephone call could make or break lives, and Szerenyi had a big influence over personalities in high places. He called the Minister for Education and after a brief conversation, the meeting’s outcome was completely opposite from its initial plan: the Polgar parents were granted permission to home school their daughters. It was an exceptional privilege at that time. Kallai remained Susan’s trainer over a certain period of time, or as he says ‘from a Bulgarian conserved meat, until a chicken breast’. This enigmatic sentence explains the financial improvement of the Polgars thanks to the magic chess success of their little daughter. Susan’s mother would always kindly offer a lunch to the trainer, which, over some time, from a cheap conserve morphed into a succulent meal. In 1983, Kallai was a second to the Hungarian GM Zoltan Ribli in his match against Vassily Smyslov at the Candidates semi-finals in London, whitch was played alongside the Kasparov-Kortchnoi match. The winners were Kasparov and Smyslov. Kallai maintains his chess playing activity as a member of the Strasbourg team in the 1st division of the French Team Championship, for whom he has been playing for over 20 years.Four of the team members come from the famous Strasbourg chess family, Roos. The team has been 15 times winner of the Cup the France. and IM Louis Roos (Photo: Strazbourg chess team archive). On our way out, walking leisurely along the Opera on the Andrassy Avenue, in front of one its many statues, Gabor just pulled out of his sleeve one more chess curiosity: ‘He was a famous chess player in his time and the first president of the first chess club in Budapest, in 1870, then called the ‘Pest Chess Circle’. 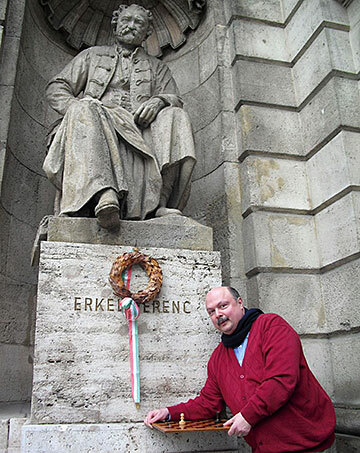 We were in front of the statue of Ferenc Erkel (1810 – 1893), a famous Hungarian composer, conductor and pianist and author of the national anthem of Hungary. << Can chess make you smarter?